Kim Kanoa Duffek is recognized as an artist with a strong understanding of the natural world. Tucson became home after finishing degrees in wildlife ecology and studio art at the University of Arizona. Daily immersion in the plants and animals of the very diverse Sonoran desert region of southern Arizona provide constant inspiration and new insight into ecological interactions. Every new corner of the planet provides new knowledge and ideas to translate into art. To credit are numerous awards, published illustrations (including an award-winning children’s book), and paintings in both public and private collections. of Kim Duffek and is protected by international copyright laws. Use of nature art, wildlife art or any other images or text from this site, requires permission in writing from Kim Duffek (Kanoa). This site is part of the Artists for Conservation (AFC) Web site. (Wildlife Art - Nature Art - Conservation) Artists for Conservation is an international, non-profit organization dedicated to nature art, wildlife art and conservation. 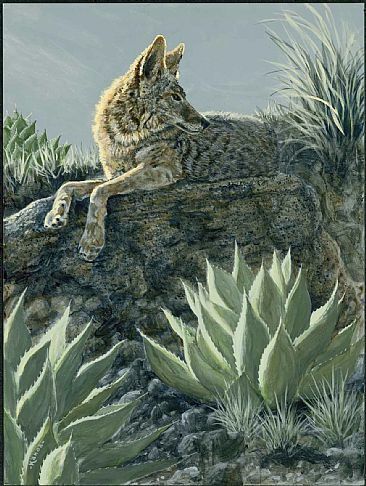 On this site you will find world-class nature art and wildlife art by today's leading nature artists & wildlife artists. The AFC site is the Web's premier location for nature art, wildlife artists All content appearing in pages featuring Kim Duffek is the sole responsibility of Kim Duffek. The opinions expressed on these artists' pages are those of Kim Duffek and do not necessarily reflect those of the Artists for Conservation Foundationi (AFC).